Halifax, Nova Scotia (Canada) -- Richard John is the former executive director of the Shambhala Centre in Halifax, now one of 30 special teachers called acharyas, whose work is to teach Buddhism and meditation practice and the Shambhala Path wherever they can. There are more than 150 Shambhala centres around the world, so Richard spends a good deal of time each year travelling. I had met Richard before, and his life is the Path. I wanted to know why. Bill: What drew you to Buddhism? Richard: I was in my 20s and living in California. I had already started a career as an industrial designer. I went to school in L.A. and worked in New York for a little while, and I was still completely haunted by the feelings I had had back in high school and college, which was wanting to find something deeper and more meaningful - really wanting a path, a genuine spiritual path. Now, this was in the seventies, so there were so many things you could try. My teacher called it a spiritual supermarket; the Hindu people were here, and the Zen people were over there, and then there were the Tibetans and so forth. Anyway, I was having a very hard time finding anyone who felt genuine to me, until I read a book that was written by Chogyam Trungpa, who was a Tibetan Meditation master who had emigrated from England in 1970. He wrote many books, but the one that came out in 1974, called Cutting Through Spiritual Materialism, hit right to the core. And a great many of us who are students now, many years later, started by connecting with that book, because he was addressing the idea of a genuine spiritual path - that was completely different from the idea of being fascinated with the exotic Eastern spiritual stuff which was rampant in those days. It had a very edgy quality to it; it was ruthless and honest and not particularly seductive but that was just what we needed. Once I read that book, I started doing meditation practice and meeting other people who were his students in California, and then I ended up moving to Boulder, Colo., for a short time, which was where he lived and most of his students were, and from then on I've been all over the place. Bill: The Shambhala Centre has become very popular here, and it seems straight forward in its messages - what differentiates it for you? 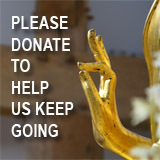 Richard: There are several different varieties of Buddhism - different cultural styles that have evolved over the years. The most fundamental form is from South East Asia, and called Theravada Buddhism, then there is another form called Zen, and then the third most prevalent form, which is from Tibet. There is Hinayana, which means narrow path, Mahayana, which means great path - that's what Zen is - and Vajrayana, which means ultimate or indestructible path and that was has settled in Tibet. The main thing is that each one contains the previous one, so it isn't like they are in conflict. But there are very different styles which attract people differently, whether the teachings are presented in a way that seems very exotic and other worldly and "Oogie Boogie," or whether it's very straight and relates directly to your life as it really is. That's one of the things that characterizes the Shambhala approach is that it has to connect on a very down-to-earth level with your real experience - because it's not about escaping from something. It's about how to bring the Buddhist teachings into your life exactly as it is. Bill: There is discussion about whether Buddhism is a religion or not - which is it? Richard: From a western perspective, based in a monotheistic religion - Judaism, Islam and Christianity - it doesn't really qualify as a religion. It's not theistic. It doesn't depend on inventing a creator. It's called Buddhism because it's about following the examples of the Buddha - a fellow who was completely uncompromising about finding out for himself what was true, and so for centuries, that was just called following the dharma,which is just the truth that you discover from following the methods and teachings of the Buddha. Only in the last few centuries was it called Buddhism, because that was how westerners could understand it as an "-ism." Thomas Merton was one of the Christian mystics who understood on a very subtle level where things come together, regardless of the names you use. So Buddhists talk about ultimate truth, great wisdom, Buddha natures - which has the quality of the ultimate, which occupies the same space as the Almighty. The only real difference is it isn't posited as a separate entity. So the path is not about uniting with something that is outside of yourself. The path is about going deeper into what you already have. Bill: When people come here, what are they looking for? Richard: People who come to the centres are, by and large, people who are already fed up with religion; so they aren't coming here looking for a better one. Most of the people who are attracted to Buddhism are very skeptical, and almost all of us have been raised in other religions. I was raised as a Baptist. So most who come have rejected religion, but they have a deep need to find - meaning. They aren't willing to go to the nihilistic scientific view that characterizes our culture, and they're not willing to buy into wishful thinking or blind faith. So the Buddhist path begins with a question; not with an answer. As opposed to saying, "Here is the answer, here's what will save you, and now you have to buy into it," you start with, "I don't know; let's find out." Then you find out there is a fantastic body of literature and teachings on methods on how to follow through with that path. It always starts with a question. The Zen people call it "beginner's mind" and it is considered absolutely essential. To enter the Buddhist path, you actually have to have a feeling that you don't know how things are but you want to know, and you're willing to keep going until you actually uncover things. Bill: What are the teachings here? Richard: There is the pure Buddhist stream of teaching and the Shambhala stream. They have different language and different ways of presenting. 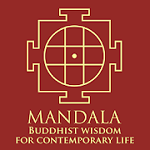 Bill: The Shambhala teaching begins with the idea that there is innate, inherent wisdom in anyone, no matter how confused you are, or how unhappy you are, or how much trouble you cause. Bill: Difficult to believe when you're in that. Richard: Yes. The idea is that the ultimate, fundamental nature of human beings, is basically good and has ultimate wisdom. So the Shambhala teachings start with that, and then work with a worldly, ordinary presentation about how you bring that to bear on your life in a very practical way - with your family, with your work, your way of relating to money - all of that. The Buddhist teachings begin somewhat more inwardly looking. You're not satisfied with things as they are. You know there's more - in Sanskrit, that's called dukha, which is usually translated as "the truth of suffering." The real understanding of dukha is that no matter how great things are, there's a part of you that knows you're just going in circles and you want to somehow wake up from that. Richard: Those are the two different starting points. You end up in the same place, but it's a matter of what you can hear. Some people can't hear the dukha, but they can hear the basic goodness. The basic idea is that you're drawn to Buddhism because of your own anxiety and your own desire to know and to wake up; so it's very personal. And what's emphasized in the Buddhist path is that you do need to start with yourself, and the main practice there is meditation, which is key to all of the traditions. There has to be inner work to step back from all of our "busy-ness," confusions, assumptions, and misperceptions - all that needs to settle out, as a starting point. But that can become too self-referential - you're working on your own spiritual path, and that's all good but what about the rest of the world? That's called the Mahayana, or the great path: that ultimately the reason to do all this is to alleviate suffering anywhere. You start with the narrow view and work on yourself, and then you have to open it up and make it of benefit to the whole culture, the whole society - and the world.